A good laugh is good for the soul everyday. 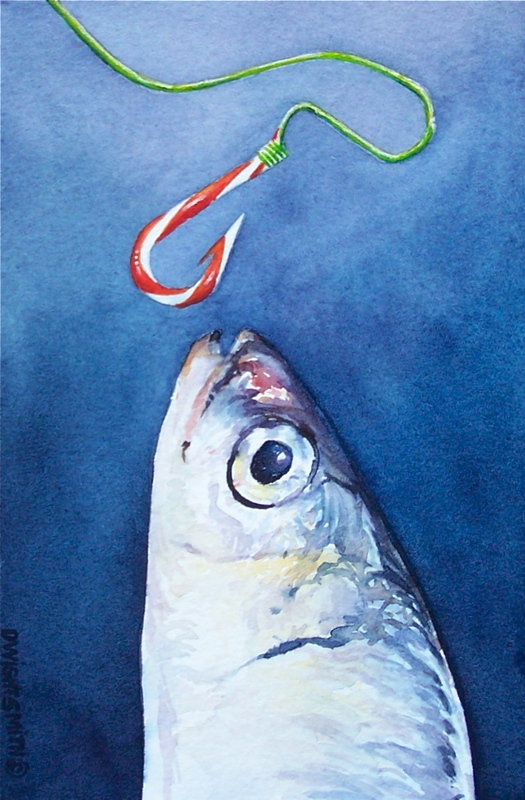 This sardine has a sweet tooth for peppermint. This original still life watercolor is 6 x 4 inches and it was painted on acid free paper. Thank you for visiting my watercolors.